Rick's Cafe Texan: It's A Bird! It's A Plane! It's A Franchise! 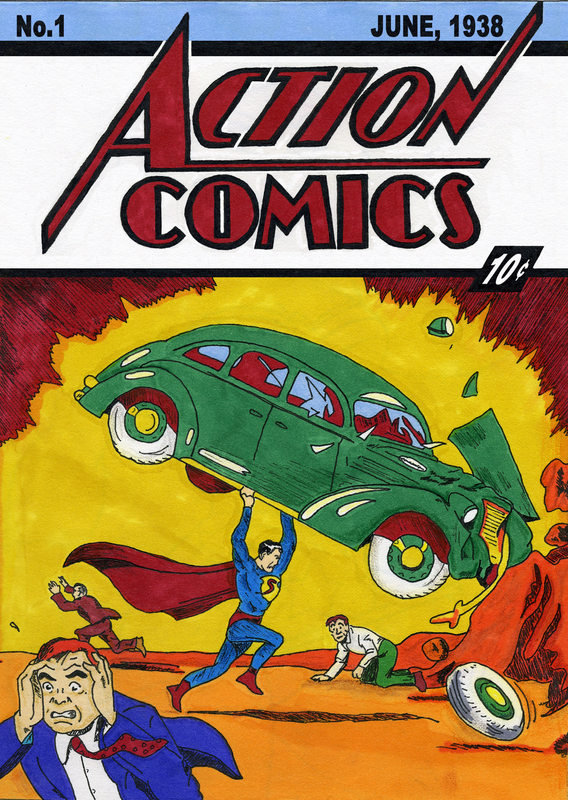 Since his debut in Action Comics #1, Superman, the Last Son of Krypton, has gone on to become a true American Icon beloved in all the world. As one can see, the character has been portrayed by many actors over the course of seventy-five years. He's been on radio, film serials, in good movies, in bad movies, in good television...well, you get the picture. For the purposes of this retrospective we will stay with only the feature-length films based on the characters (so sorry, Dean, Tom, John & Gerard...maybe another time). We begin with Superman & The Mole-Men, which could be considered a version of a pilot for the George Reeves Superman television series, but it was released in theaters (so it counts) and end with the latest incarnation, Henry Cavill's take on the character in Man of Steel. Now, first my own thoughts on the character. I, like all boys, love Superman. He can fly, he has super-strength, and beneath all that, he is someone who fights for 'truth, justice, and the American way', so he's a patriot. Whether one sees him as either a Moses or a Jesus-type figure I leave to A.) your own religious persuasion, and B.) whether you believe there are actual parallels between the Last Son of Krypton and either the Prophet or the Messiah. For my part, I think whenever the parallels are heavy-handed (like in Superman Returns), it makes it all rather self-important. I saw the Christ parallels in Returns, and as someone whose Christianity ebbs and flows (sometimes I'm passionate about Jesus, sometimes I come close to taking Morrissey's view of I Have Forgiven Jesus), I didn't care for it. Superman, as great as he is, cannot compare with Our Lord & Savior. He can't even match up against the Deliverer. Now that I've seen all the Superman films, it is time to render some conclusions. 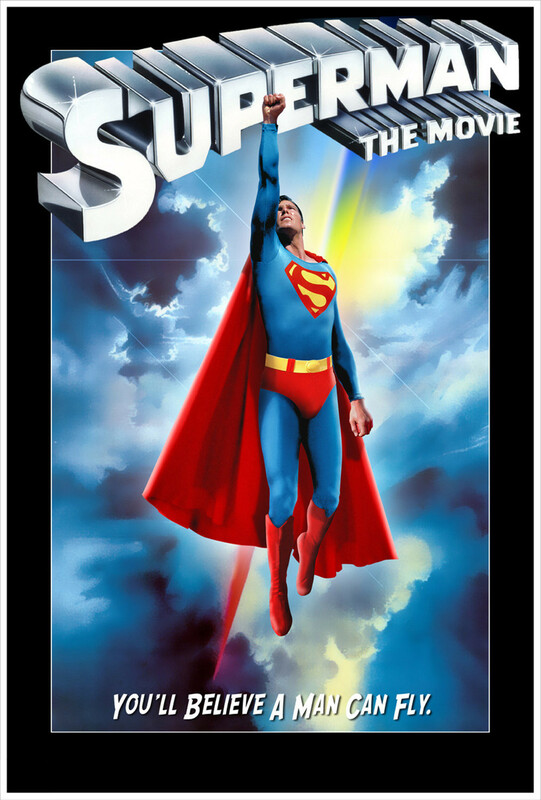 Despite all the advances in CGI, for me, the Superman films of Christopher Reeve, or at least the first two, are the Gold Standard to which all other Superman films are measured against. In fact, I believe Superman: The Movie, is simply the Greatest Comic Book-based Film of All Time (sorry, Dark Knight). All the elements came together: we have brilliant performances all around, a story that balances humor with seriousness, and really, John Williams' stirring score can never be duplicated or topped. Superman Returns couldn't come up with music anywhere near as memorable, so they just opted to use the original. Man of Steel may have louder special effects and start a whole new Superman film franchise, but will anyone remember the music? Do they remember it now? Even after 35 years, when people think of Superman, chances are they hear Williams' breathtaking Opening Theme, which gave Superman that grand epic feel and, I'd argue, makes the adventure one that is fun and optimistic (something its successors, even the last two Christopher Reeve films, were not). As I've said, Superman is the Citizen Kane of Comic Book Films. It set the standard for all comic book-based films, from those which are also brilliant (Batman, Spider-Man), to those that are very good (Iron-Man, The Dark Knight Rises), to those that are abysmal (Batman & Robin, Fantastic Four). Not only was Superman the first major film based on a comic book, but it had the wisdom to know that, in the words of creative consultant (aka co-writer) Tom Mankiewicz, it could not be smarter than the material. It had to treat the enterprise seriously without being somber, and it could have comedy without being camp. Superman kept that balance. If Richard Donner had been allowed to finish the second part of the two-part film series, I believe Superman II would have been as good as Superman itself. Sadly, this was not the case, and for me, Superman II (the official release) is a slight disappointment in that comedy was slowly starting to seep in, distracting from the characters in a play for laughs (sometimes at the characters' expense). This is why I recommend the Donner version over the Lester version to complete the two-film series. Superman & The Mole-Men was obviously made on the cheap, but what it lacks in nifty effects it more than makes up for with a story that serves as allegory. The film is shockingly progressive for its subtle (or not) message about tolerance and the dangers of paranoia and mob mentality. Just as a lynch mob sets their sights on Tom Robinson with only Atticus Finch to stop them in To Kill a Mockingbird, so a wild-eyed mob led by a manipulative man set on killing unarmed creatures who have not harmed them can be stopped by the Man of Steel. If there had been a budget, Superman & The Mole-Men might be more recognized as a minor gem in the Krypton Canon. Man of Steel falls somewhere in the middle, though whether I shift it from Superman II remains to be seen. If anything lifts it up, it is Michael Shannon's performance as Zod. He never plays the character as anything other than the menace and danger Zod is suppose to be. It almost makes it sad to see a great villain be lost at the end. Terence Stamp's Zod is just as good (though maybe his costume is more...70s? ), and he is one of Superman II's strengths. However, as I said, the comedy bits are Superman II's weakness, which is why it got pushed slightly down. The last two Christopher Reeve Superman films are just sad. Superman III at least has a couple of good things in it: Richard Pryor's comedy, the Smallville subplot and Annette O'Toole's performance as Clark Kent's long-lost love Lana Lang. Superman IV: The Quest for Peace, however, has nothing to offer a viewer of any kind (except those who love bad films). It was cheap, the message was far too preachy and misguided, and one could not get past a human managing to survive flying into outer space. Superman Returns, a failed effort to reboot the franchise, certainly looks impressive, but the story was nonsensical (one word: Isra-El), the direction confused (sequel to the first two Reeve films? its own story), and the acting was flat (Routh was good when he stood there, but not believable as a substitute Jesus Christ). Even worse, Superman Returns took itself far too seriously, too downbeat, too morose, too filled with its own heaviness to make it entertaining. Yes, it made money, and yes, many critics liked it, but why then didn't we have more Superman films with Routh and his little fellow? The answer is obvious. No matter how attractive the Man of Steel may be (I'm talking to you, Henry Cavill), if the person can't act it don't mean a thing. Christopher Reeve could act, and his Superman was a strong man, not just physically but morally. He also had a lightness and romantic nature to his interpretation. When he and Lois Lane are flying through the air in Superman (with Williams' score again serving its role beautifully), we can sense these two characters falling in love. George Reeves was good as Superman, but not anywhere near as iconic as Reeve. As for Routh and Cavill, well, neither can be called a great actor, and both were hampered by trying too hard to be somber and serious when Superman should be serious but also joyful. 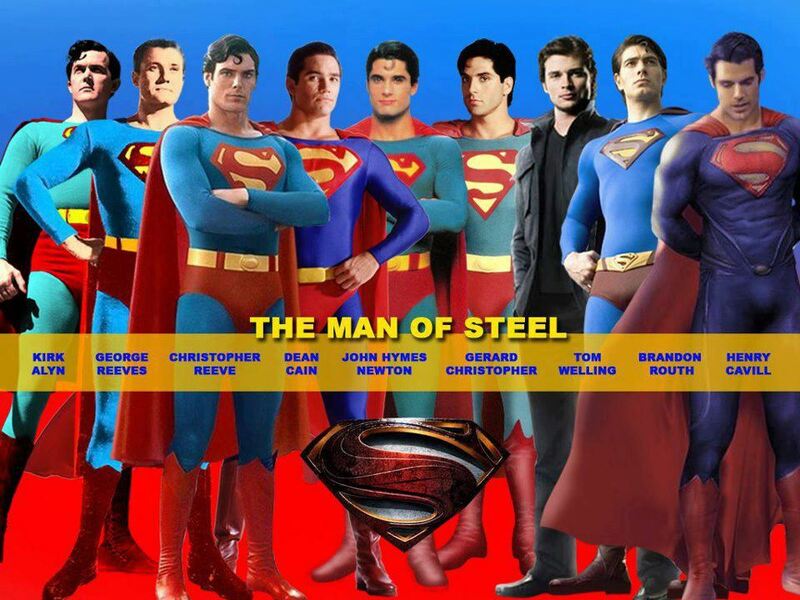 Reeve balanced a bit of humor with a serious performance, and with the exception of Reeves, no other Superman actor has managed that balance. Surprised? Well, it's by the thinnest of threads that George Reeves beats out Christopher Reeve. When one is playing a character with dual identities, one is basically playing two roles. Christopher Reeve was brilliant as the bumbling nebbish Clark Kent, which is what the role required. 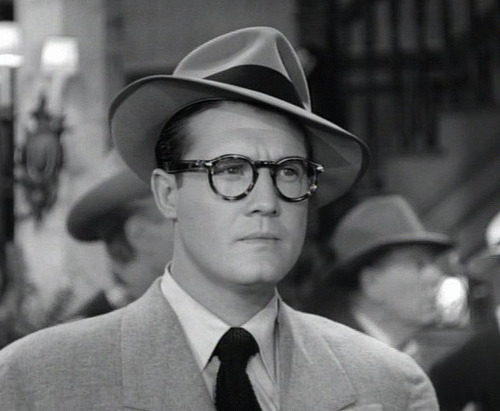 However, what gives George Reeves the edge is that his Clark Kent is what he should be: a real, serious journalist. He plays the character straight and is no fool. Reeves' Kent also is not afraid to take charge. He is the one who tries to dissuade the mob before Superman has to take over. Reeve's Clark on the other hand, would have stumbled and bumbled across the situation, too frightened to do anything. Routh got the bumbling part right but he was not so much mild-mannered as he was dimwit, and Cavill was not a mild-mannered reporter at all in Man of Steel, but a journeyman wanderer, searching for his place in this world. One wonders HOW he managed to get a job at the Daily Planet when the only things we'd seen him do were menial, manual jobs (not that there's anything wrong with that...my dad worked construction and was a mechanic). I simply didn't think much of Kate Bosworth in Superman Returns...but then again, I don't think much of her as an actress either. Amy Adams can always do a good job, but she didn't have much to work with. For me, Margot Kidder's combination of wit and cluelessness, her need to be rescued and her sharp journalist skills (in both versions of Superman II, she does put two and two together), her fascination with Superman and near-dismissal of Clark makes her a Lois Lane for the ages. 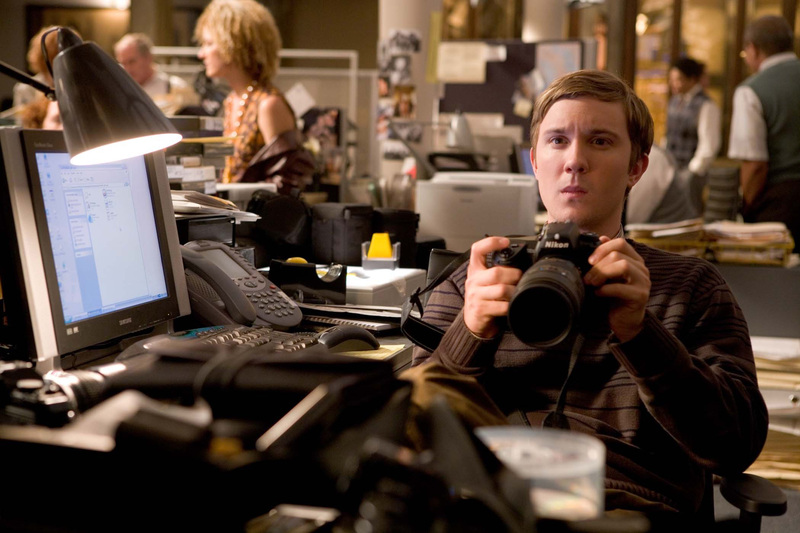 The only good thing in Superman Returns as far as I'm concerned was Sam Huntington's Jimmy Olsen, cub photographer (and frankly, my favorite character in the Superman mythos...wonder what would happen if Jimmy Olsen and Peter Parker entered a photography contest). Huntington got the fact that Olsen is suppose to be a kid, eager, enthusiastic, and who worships Clark Kent (about the only person at the Daily Planet, I imagine who thinks well of the mild-mannered reporter). I think Marc McClure was quite good as Jimmy and it's a thin edge that Huntington has. Sadly, we have no eager young cub photogs in Man of Steel, so we'll have to wait for the sequel. Another by the thinnest of threads. One of the good things in Man of Steel is Michael Shannon as General Zod. However, for Michael Shannon to give a bad performance is close to impossible. I thought about it and perhaps in time Shannon and his Zod will eclipse the other villains the Man of Steel has or will come up against. However, Gene Hackman's combination of genuine threat and inflated egomania make his Lex Luthor a villain equal to Superman's goodness. Who else can come up with such a dastardly scheme that will kill millions of people but have the bumbling Otis as his primary henchman and make both believable and even rational? With the Superman films, it's clear we have a wild swing between masterpieces and master junk. There is no real in-between. I look forward to more and better takes on the Man of Steel, Son of Krypton, product of Smallville, Kansas, mild-mannered reporter for the Metropolis Daily Planet, and one of the great figures in modern popular culture.